Sometimes the universe just smacks you right in the face. 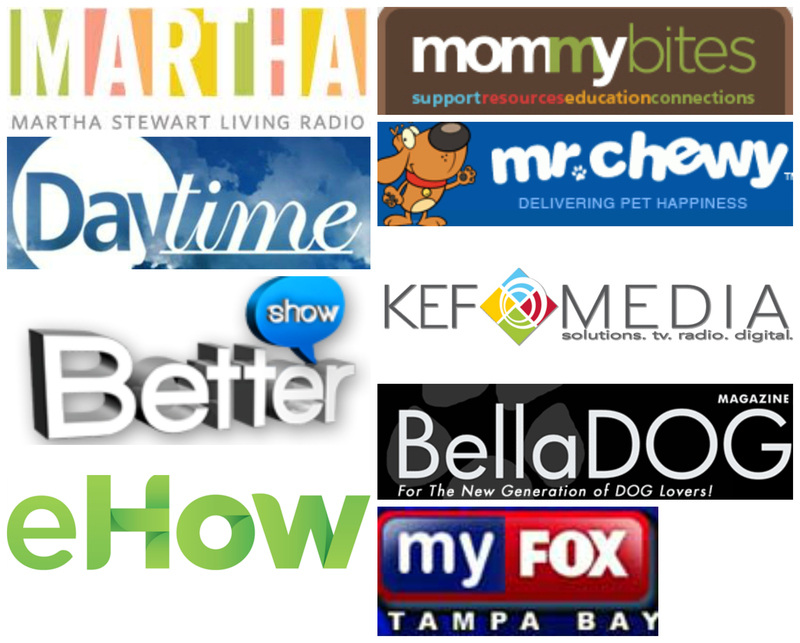 Yesterday morning I woke up thinking about (for the zillionth time) launching a pet weight loss program in my town, Tampa, FL. I can’t tell you the number of times I have considered this over the years. 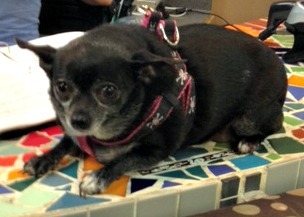 Then, a couple of hours into my work day, in walks Spooky, a morbidly obese chihuahua. Spooky’s mom I had seen before and I had most likely met Spooky over the years but not in a long long time. 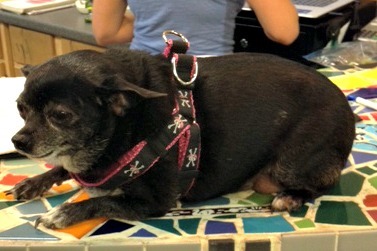 Spooky has a sister named Bella who is a pug/chihuahua mix and who is chunky. Not to the point of Spooky- YET. When dealing with pet parents and their pet’s weight, oftentimes you have to tread lightly. 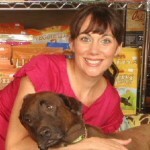 Pet parents take this subject very seriously and oftentimes get defensive when pet weight loss is approached. “How dare you say my dog is F-A-T!” is the look one can expect. During my conversation with Spooky’s mom, I found out that Spooky only eats people food and the occasional dry dog food. It is difficult for Spooky to walk because two lipoma tumors (fatty growths) have formed on either hip. We put Spooky on my bakery scale and she weighed in at 8.5lbs when she most likely should be 4lbs or less. She is 50% overweight. Now, of course, Spooky could have a thyroid or other condition I don’t know about and I have no idea how often she is visiting the vet. What I do know, is that without a major life change, this 7 year old chihuahua may not have very much longer on this beautiful earth. I gave the pet parent all of my best tips and she left with a journal to record Spooky’s daily intake and exercise. I also gave her information on the health issues that can result from pet obesity. Although she said she would come back to discuss food options, my heart tells me she will not. Spooky is on my brain and is just what I need to get a weight loss challenge started in my area. Local vets- be ready! I will be calling to partner with you in this important endeavor! Look for more articles on managing your pet’s weight in the very near future!